Ever since I started shooting professionally with the Fujifilm X system around 5 years ago, I have gotten a ton of questions about the different lenses. That’s why I just launched a brand new series about the X lenses on my YouTube channel. In this series I’ll give you my honest opinions as a photographer and an actual user, not a lab test with technical charts. The teaser and intro was released today, and on Wednesday (22. August) I’ll publish the video about the first lens, the XF35mmF1.4. Feel free to check out my channel and my new lens talk series by clicking here! Woohoo! Fujifilm just keeps on giving and giving, by improving products we have already bought. And believe it or not, it’s happening again. 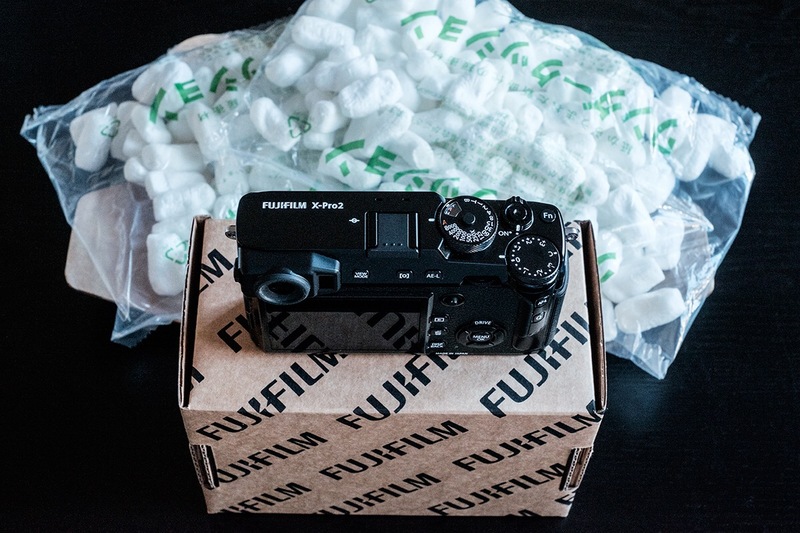 Fujifilm just released firmware version 4.0 for the X-T2, and that means they’re giving us several goodies from the X-H1 goodies. And as usual, the upgrade is free! As many of you might have guessed, Capture One Pro 10 is my favourite choice for processing rawfiles from Fuji cameras, both the X-T1, X-T2 and X-Pro2. But many prefer Lightroom or Adobe Camera Raw because then they have built in support for the excellent Fujifilm film simulations. I don’t know if Phase One is working on their own version of the film simulations in the Capture One software, but I really hope they are. In the meantime, there are a few third party solutions out there, so I’ll give you a couple of links here to ICC profiles that can be downloaded and installed. There is one set mentioned in a discussion thread on the DPReview forums, and you can download those by clicking here. I haven’t tried these myself, but the download should include ICC profiles for both the X-Trans2 and X-Trans3 sensors. ***UPDATE 8. Jan 2018 *** These profiles are the same as the ones below (thanks to Ivan for letting me know in the comment section). And then there’s another set mentioned in the Fuji-X-Forum for the X-T1 and X-Pro2, and those ICC profiles can be downloaded by clicking here. I have used these with both the X-Pro2 and X-T2, and they seem pretty good. I can’t say how accurat ethey are compared to the in-camera profiles or the Adobe ones, but they seem ok. PS! To make these work for the X-T2, you just rename the XPRO2 part of the filename to XT2. So for instance, if the filename of the profile is “FujiXPRO2-ACROS_ARGB_V2”, you just rename it to “FujiXT2-ACROS_ARGB_V2” and should work just fine. For both of these you will find details on how to install them in the forums threads, but the short version is that on my Windows 10 machine I just copied them to the “…\Program Files\Phase One\Capture One 10\Color Profiles\DSLR” folder on my computer. On a Mac I believe the correct folder should be “Macintosh HD/Library/ColorSync/Profiles”. I’m so excited that Phase One have asked me to do one of their live webinars, and this time it’s all about working with X-Trans files from Fujifilm cameras. So if you want to know more about my workflow, and how I get the results I do with Capture One Pro 10, join me and David Grover live on Thursday 6. July at 17:00 CEST (the same as 17:00 Oslo/Stockholm time). Click here to sign up for the webinar now. Fujifilm came out with a new piece of software last week, the Fujifilm X Acquire tether software. It’s free, and lets you shoot tethered with the X-T1, X-T2 and GFX 50S cameras to Windows or Mac. I just had to dig into it, so I made a video tutorial on how to set it up and use it. You can watch it on my YouTube channel. I’m combining X Acquire with Capture One Pro 10, but I also show you how you can use it in a more basic way without any additional software, as well as give you some powertips on shooting tethered to a Dropbox folder. So here’s the second part in my YouTube series of tutorials on tethered shooting with the Fujifilm X-T2 camera. This time I show you how you can use the excellent Capture One Pro 10 software. But, since Capture One Pro 10 hasn’t built in tethering support for the X-T2 camera (or the X-T1), you have to use something like this workaround to get it to work, with the Fujifilm software HyperUtility HS-V5 running in the background. The advantages of using this setup compared to the Lightroom setup in my previous post, is that this is way faster with much better stability. You can watch the tutorial on my YouTube channel by clicking here. Shooting tethered is a great tool for me, and I know many photographers are looking for info on how to set it up with the Fujifilm X-T2 camera. Feel free to check out my latest video on YouTube, where I go into detail on how to set up tethering with Lightroom and the Fujifilm Tether Plug-in made by Adobe, plus a bunch of tips, tricks and feedback on what I think about Lightroom as a tool for this. Click here to view the video on my YouTube channel. And the next video, covering how you can shoot tethered with the X-T2 and Capture One Pro 10, will be released in a couple of weeks. Microsoft Surface Pro & Fujifilm X-T2 – BFF?! Sorry, I know it’s been ages since my last blogpost. Many reasons for that, but I won’t bore you with them. Instead, I’ll try to improve. This will be a short one. For a long time I have been searching for the perfect companion to my Fujifilm cameras. Since they are small, I want something small and light, yet powerful, to connect my camera to and shoot tethered in a studio or on location. And I also want it to be accurate enough (I’m talking about the screen and the colours) so I can do editing and retouching on the road if necessary. Enter the Microsoft Surface Pro 4! I have high expectations, but this thing is so fresh in my hands I have barely unpacked it. I think I may have promised at one time never to make an unboxing video, well I just broke that promise… Sorry…. Here it is. Some lifestyle work with Dora from a workshop I taught (lens: XF90mmF2). Finally I get to say woohoo! Right before Christmas, I had a meeting with Fujifilm Nordic where I got to play around a little bit with the X-Pro2 a few weeks before the official launch. I was hugely impressed even from that very brief encounter, and I have really been looking forward to starting using it since that. And finally today, a nice guy from Schenker arrived at the door with a package. And not only did it contain a shining new X-Pro2, but Fujifilm Nordic had also sent me a couple of bags with something that I believe must be Japanese popcorn. Ahhhhh… So sweet! Those guys are the best! The popcorn was a bit on the dry side actually, but I managed to get it down with half a bottle of Sake. I’ll of course be back with a thorough camera field review after I’ve had the chance to use it for a while.